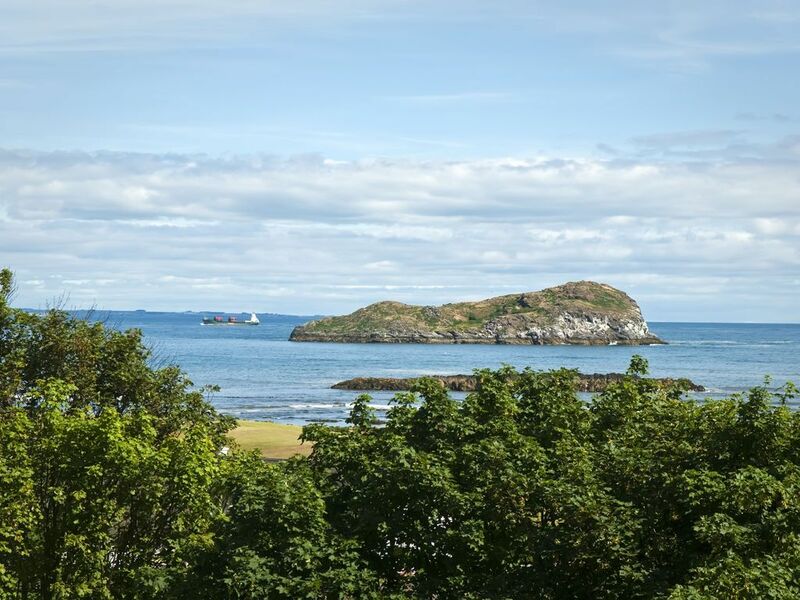 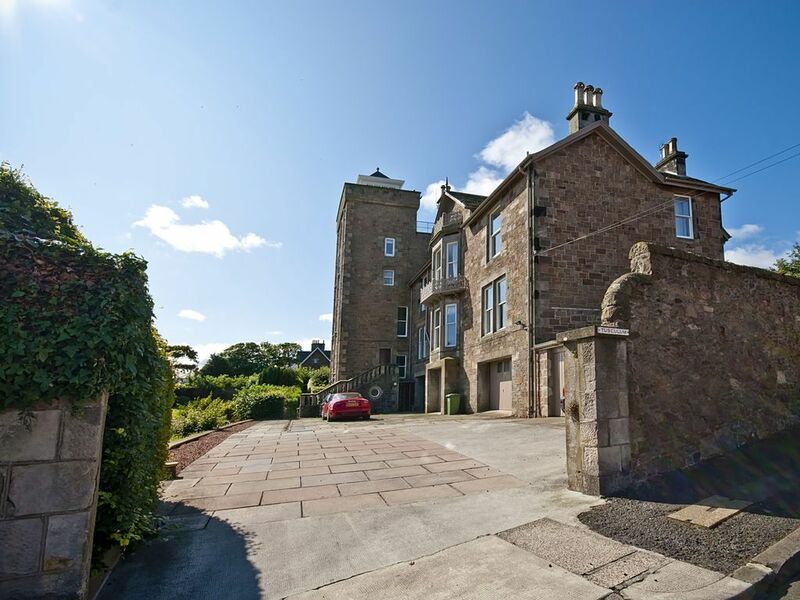 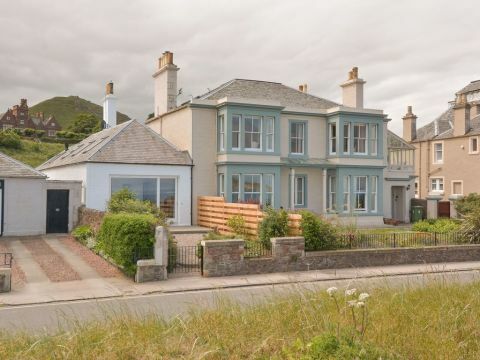 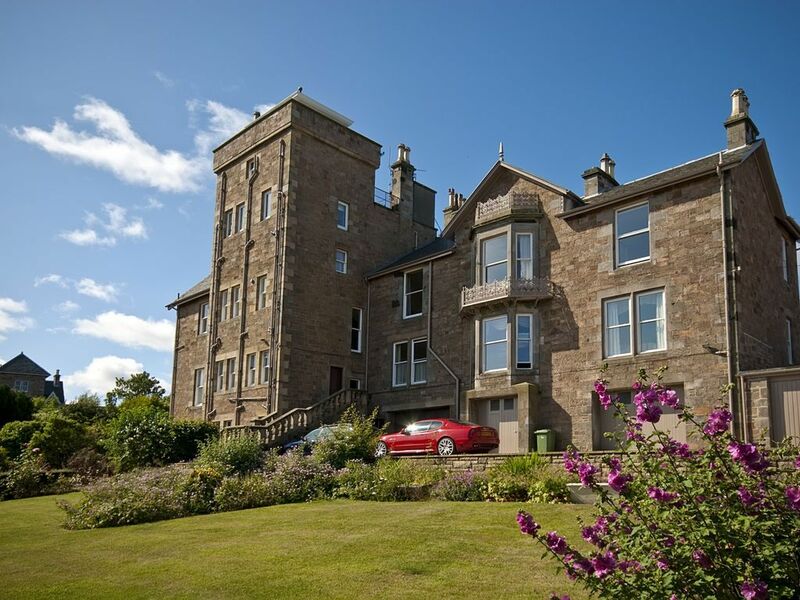 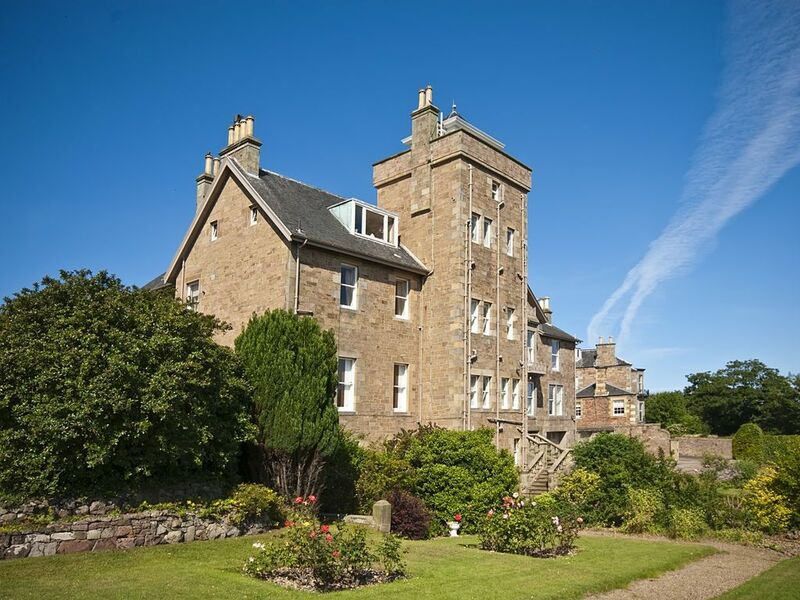 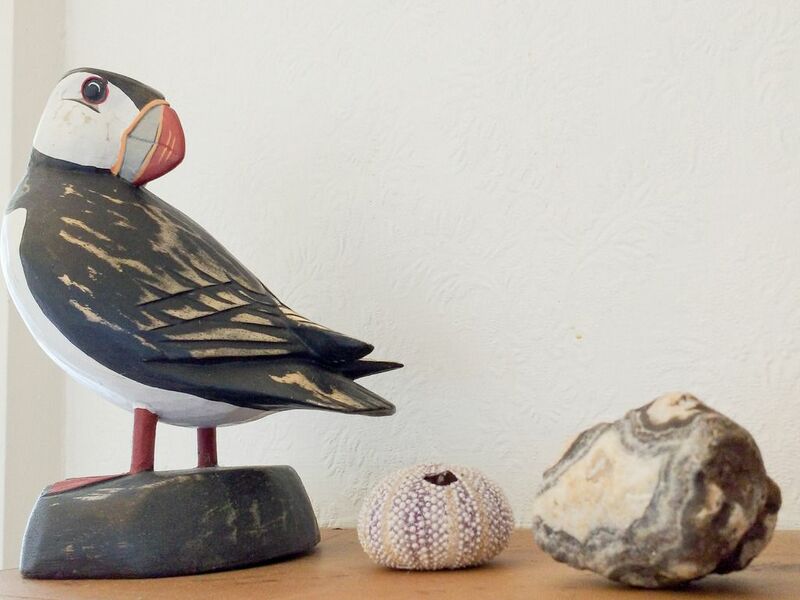 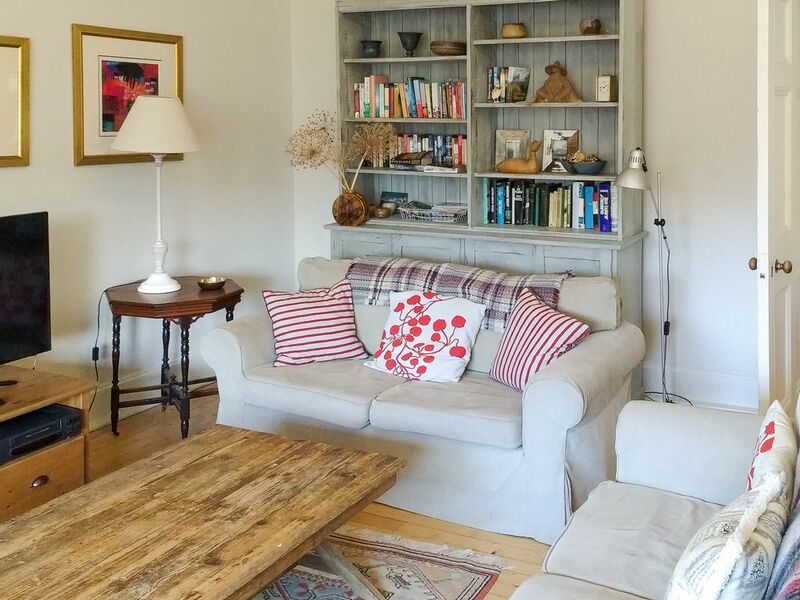 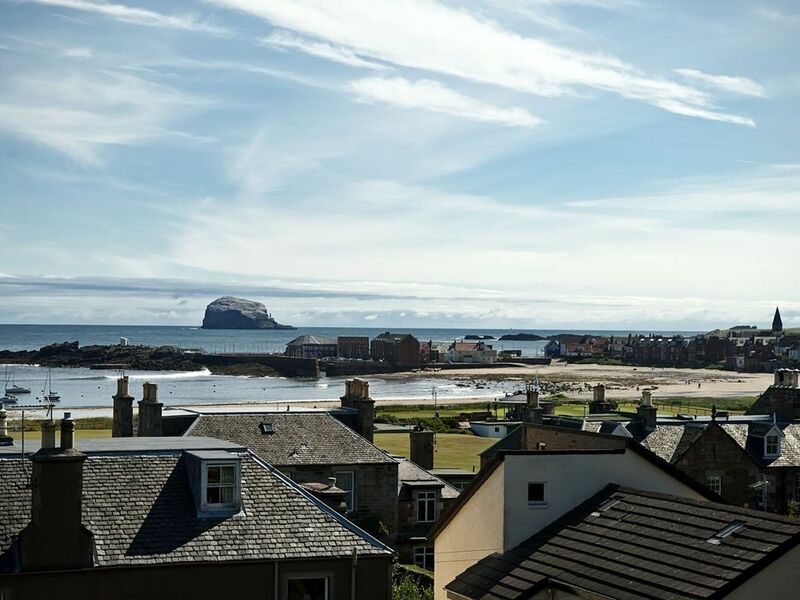 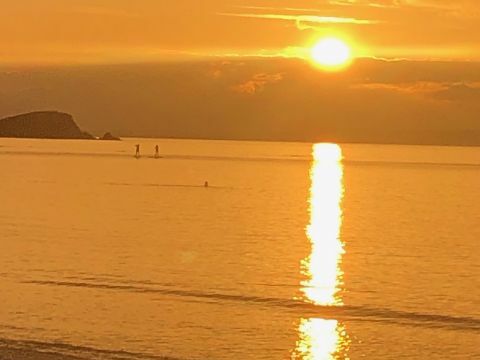 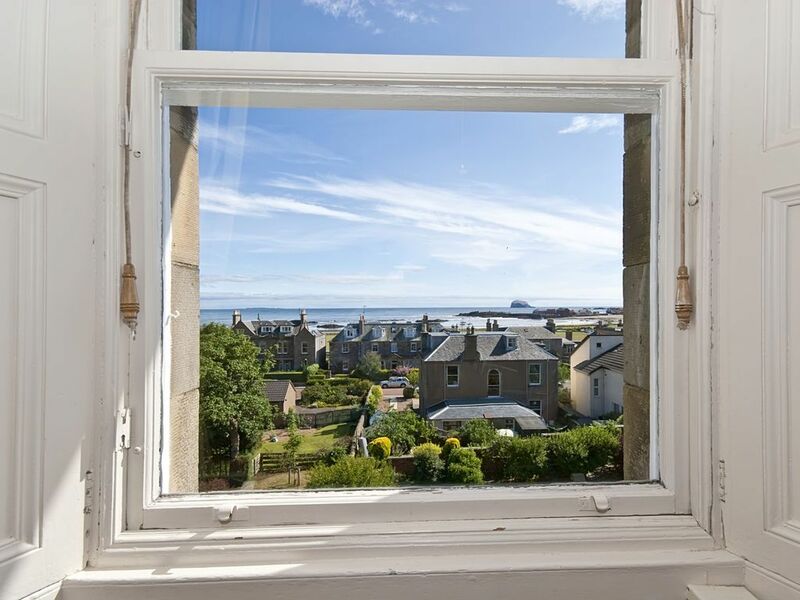 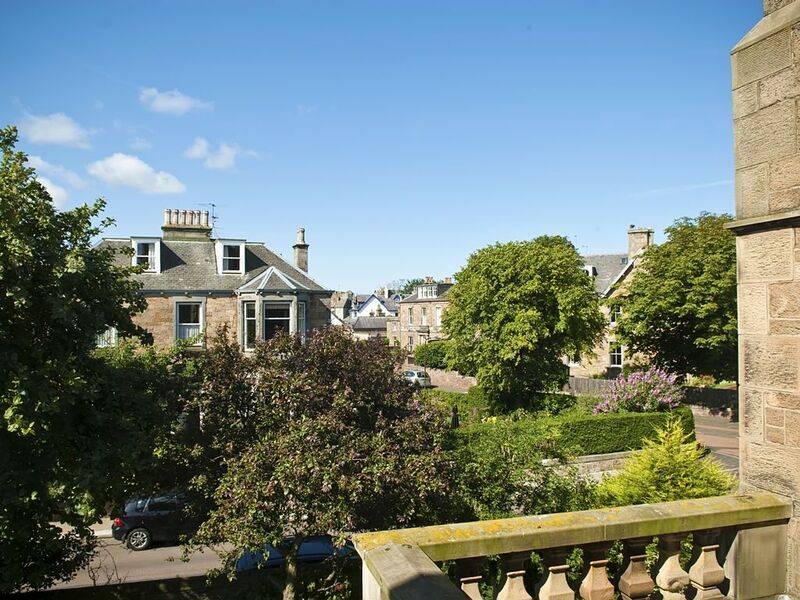 The views from this character two bedroom apartment are spectacular, with the town and beach spread before you and the sea beyond stretching across towards Fife. 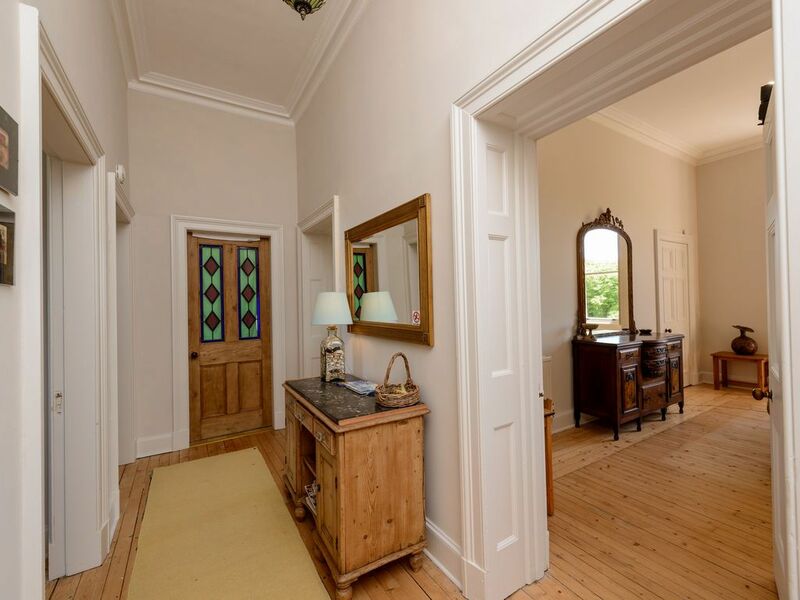 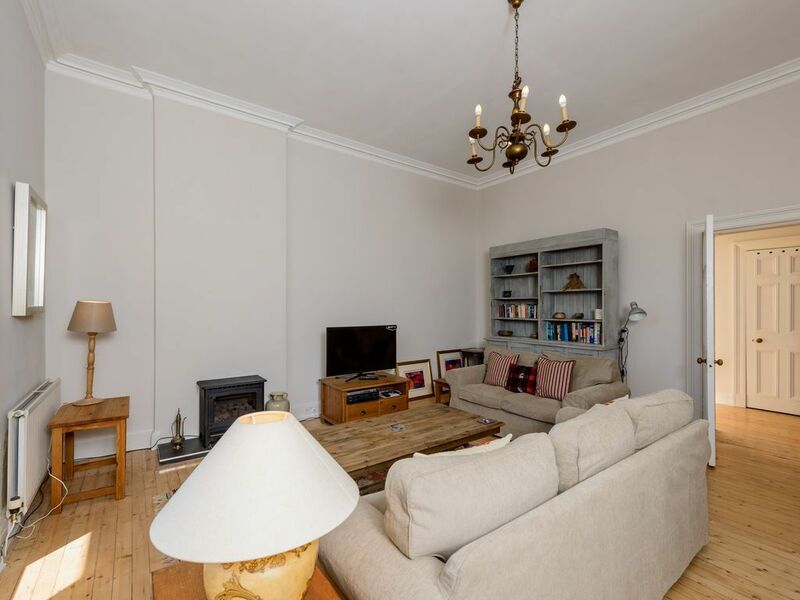 Accessed by lift or stairs, the property is on the second floor and is light and spacious with high ceilings and large windows which feature original working shutters. 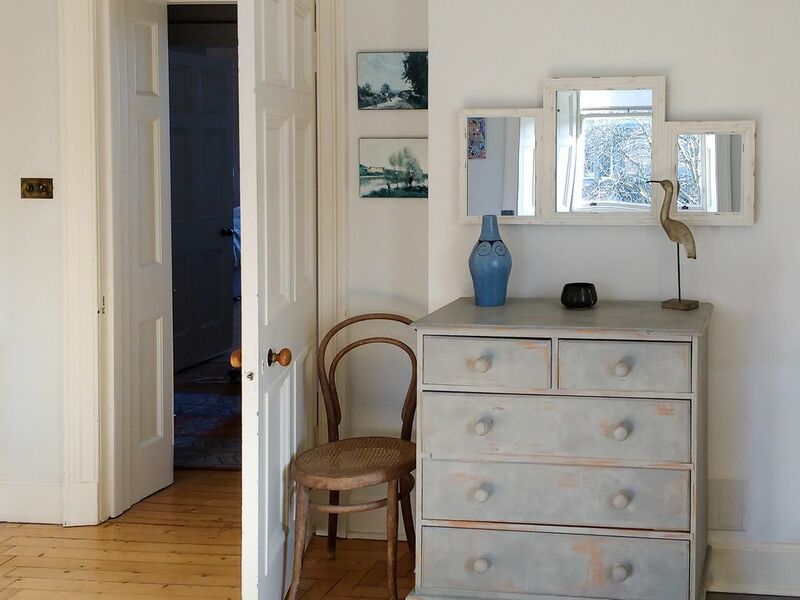 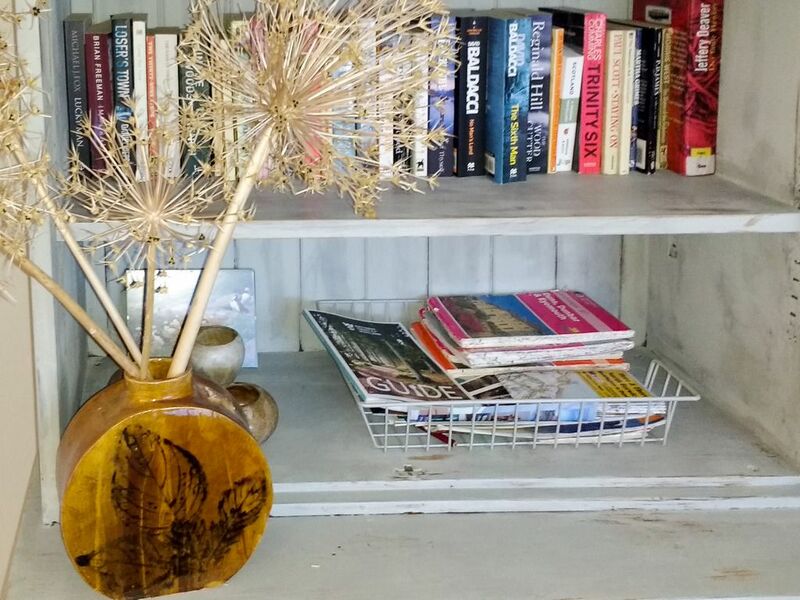 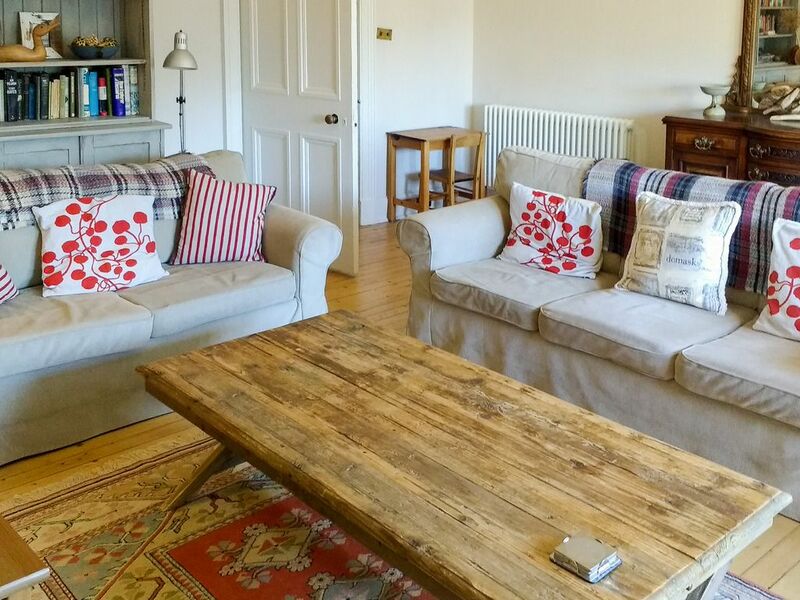 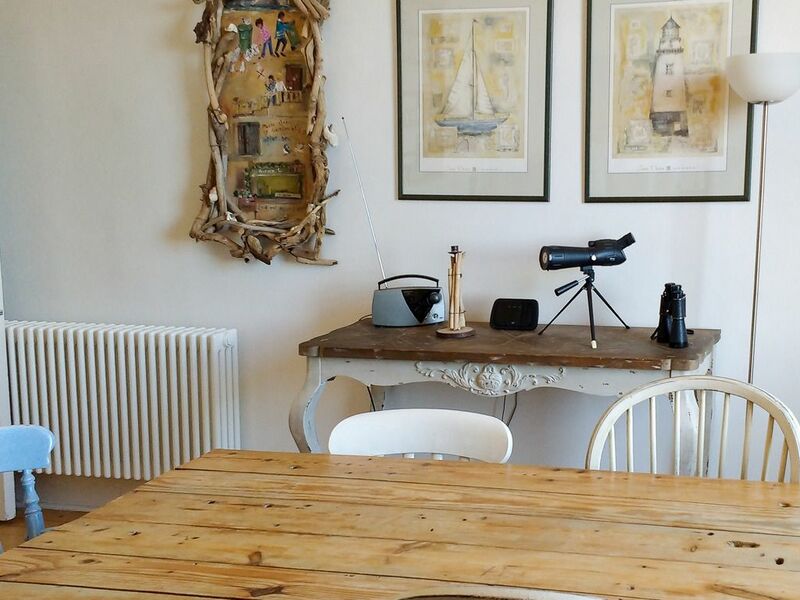 There are also stripped wooden floors and interesting vintage finds displayed in the property adding to its interest. 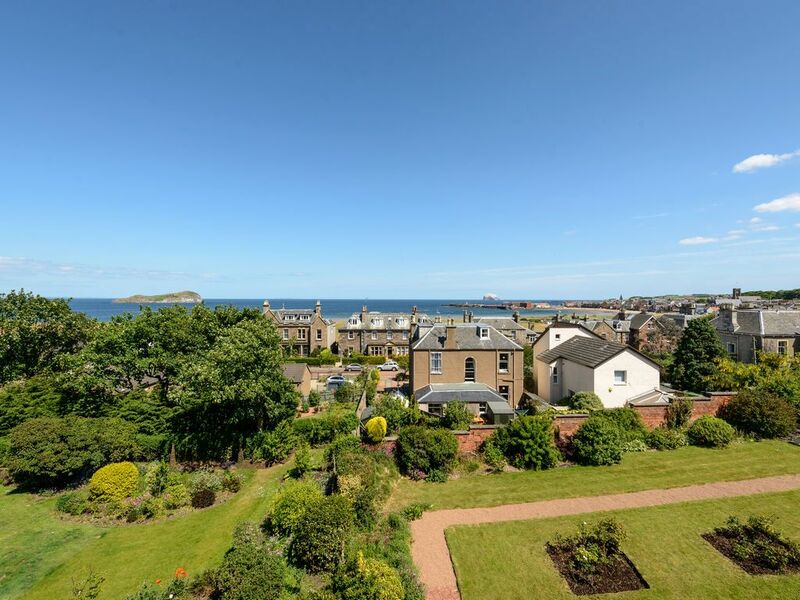 The property has an enclosed private garden and the golf course and beach can be access down a lane from the front of the property. 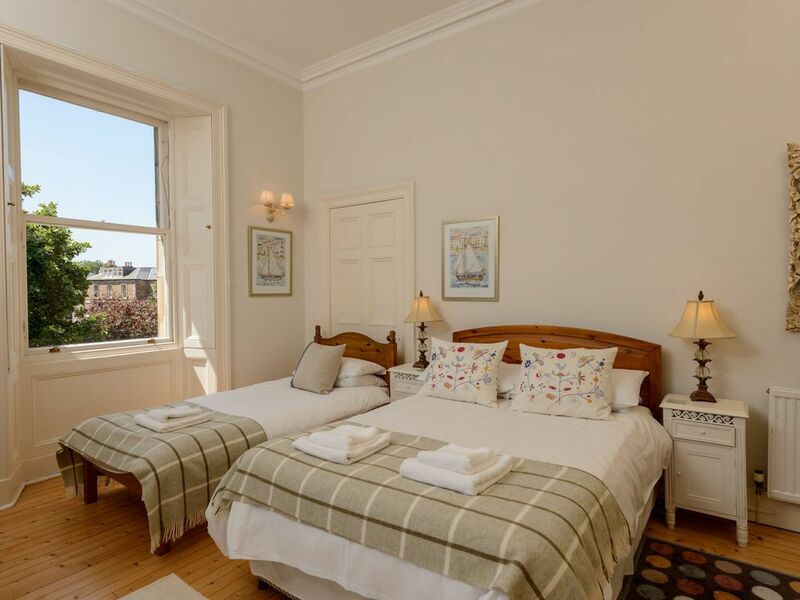 The shops and cafes in town are only a short walk away and the train station is also located close by should you wish to enjoy a day in the capital city of Edinburgh. 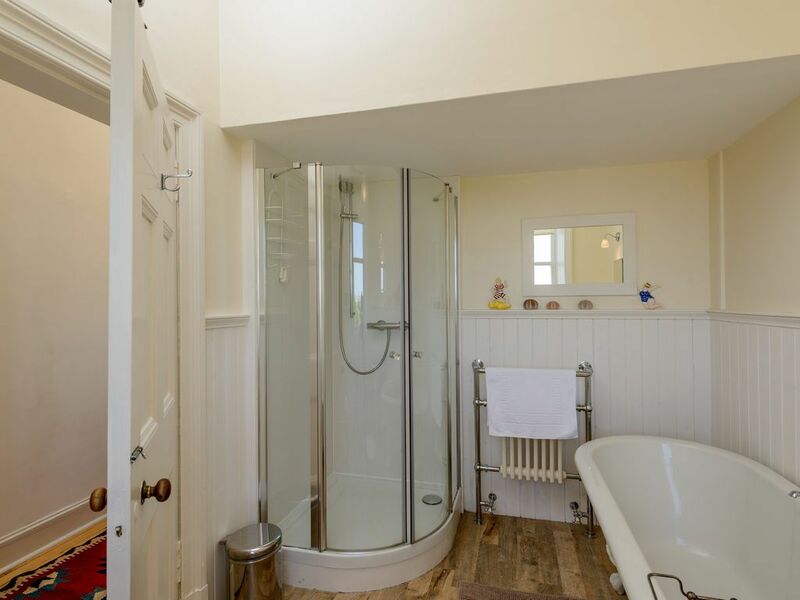 All on one floor but with a few steps up to the living area, there is a gas wood burner and 47 inch smart TV. 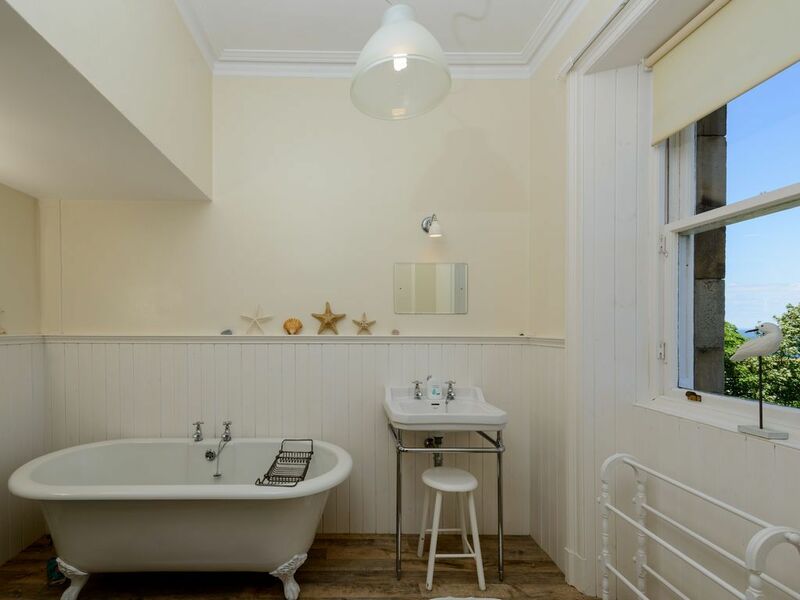 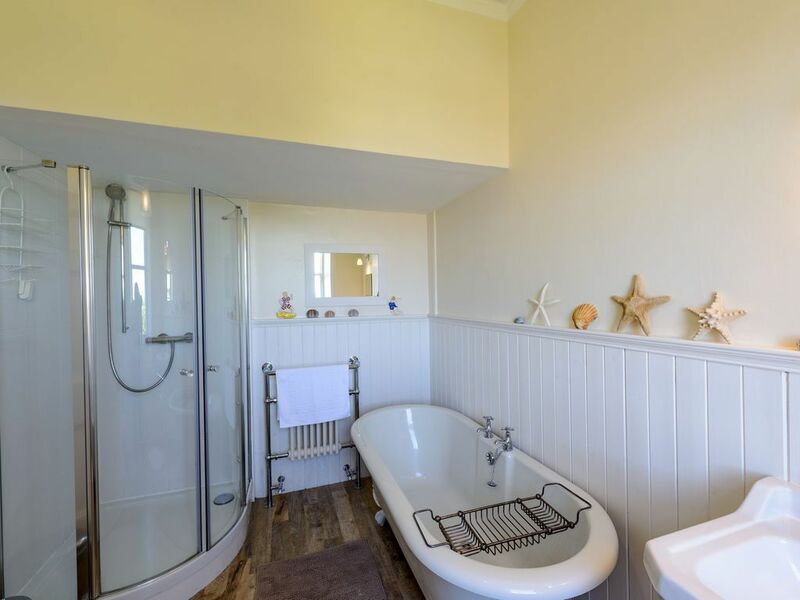 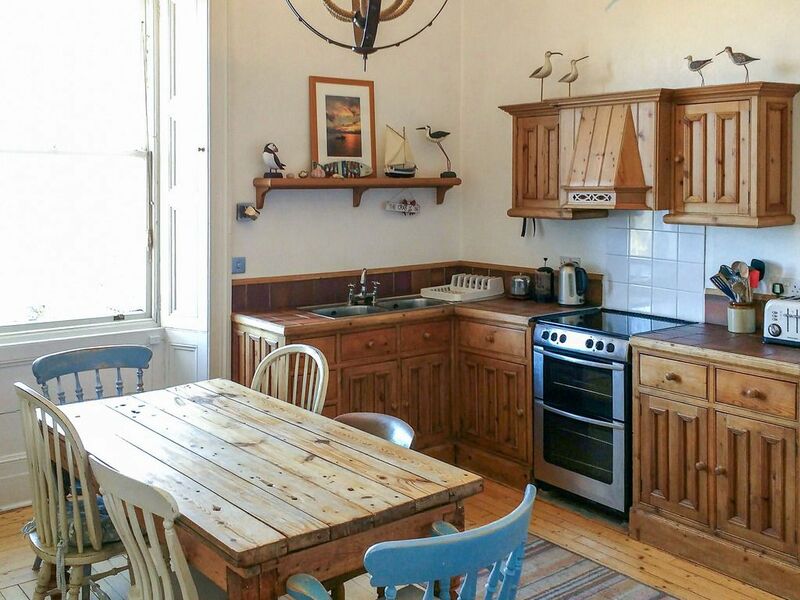 Tusculum has a newly fitted bathroom, separate wc, large sitting room, two spacious bedrooms both with double and single beds and wash hand basins, farmhouse style kitchen and a separate utility room. 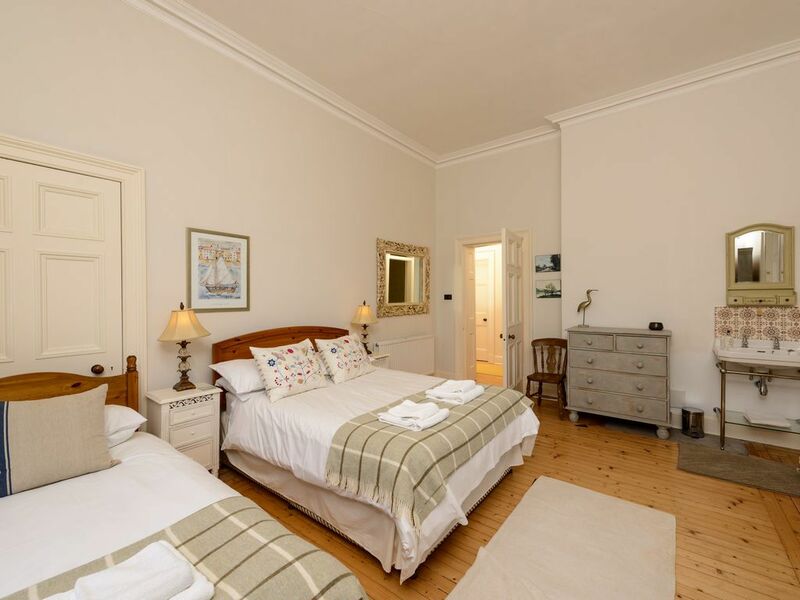 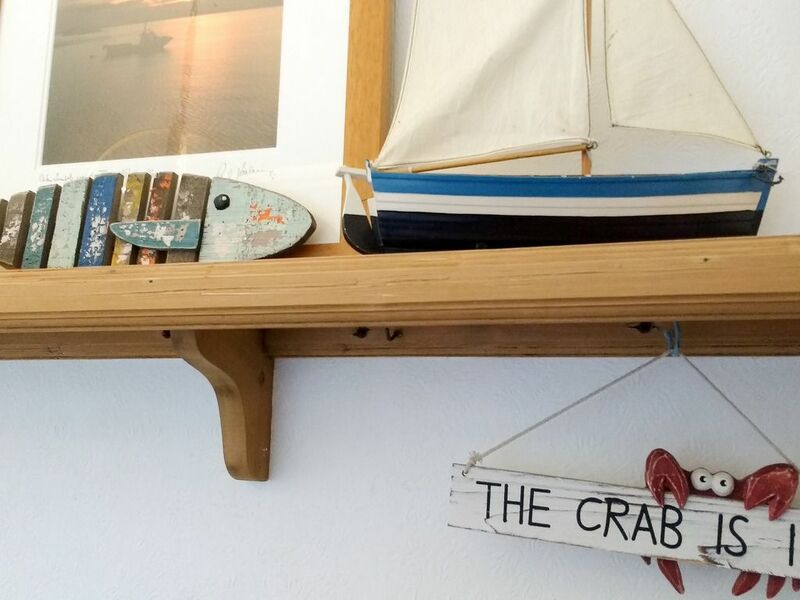 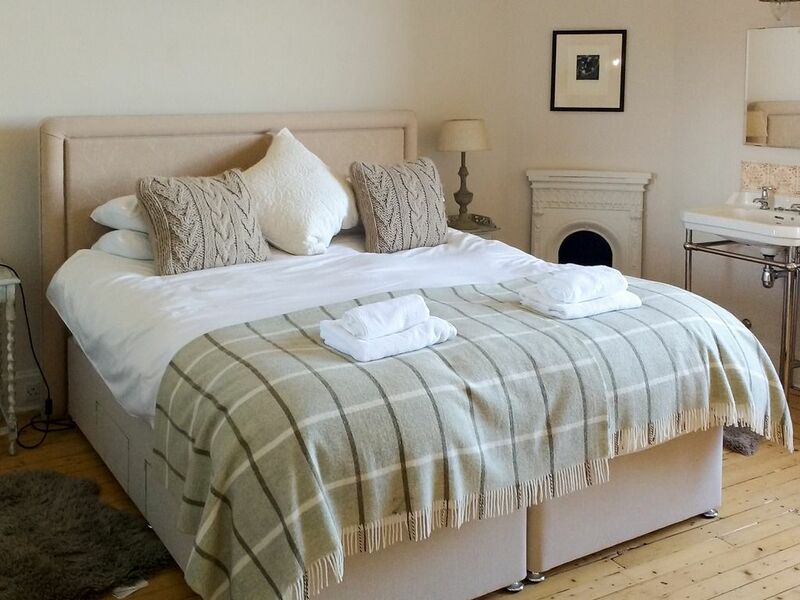 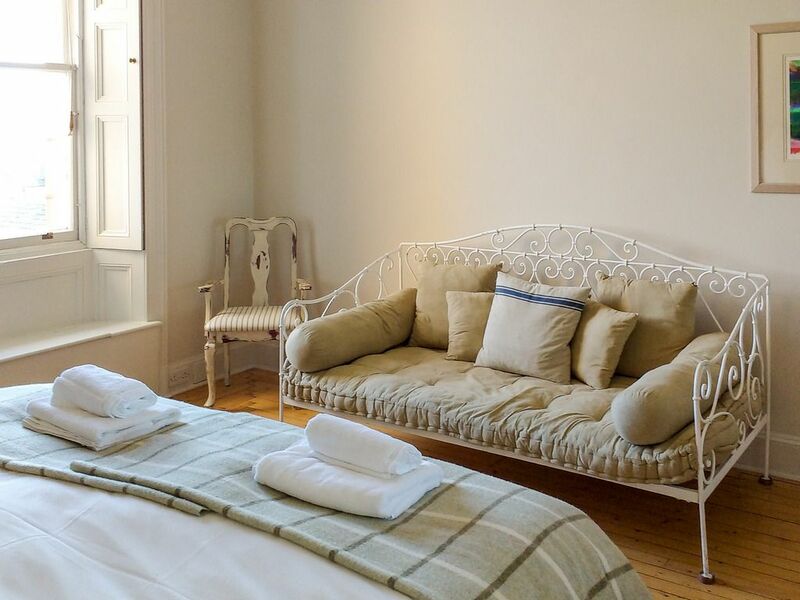 The property is well furnished with plenty of comfortable seating provided in the lounge, and ample drawers and wardrobe space in the bedrooms. 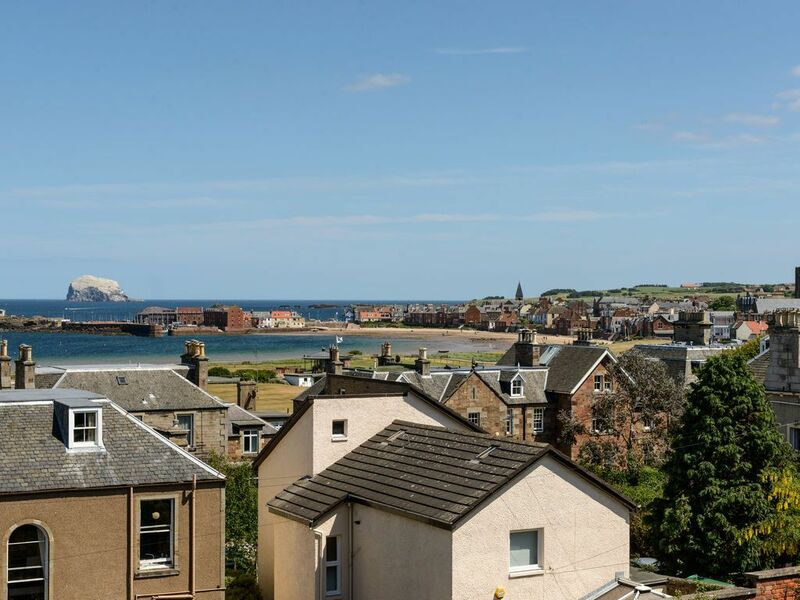 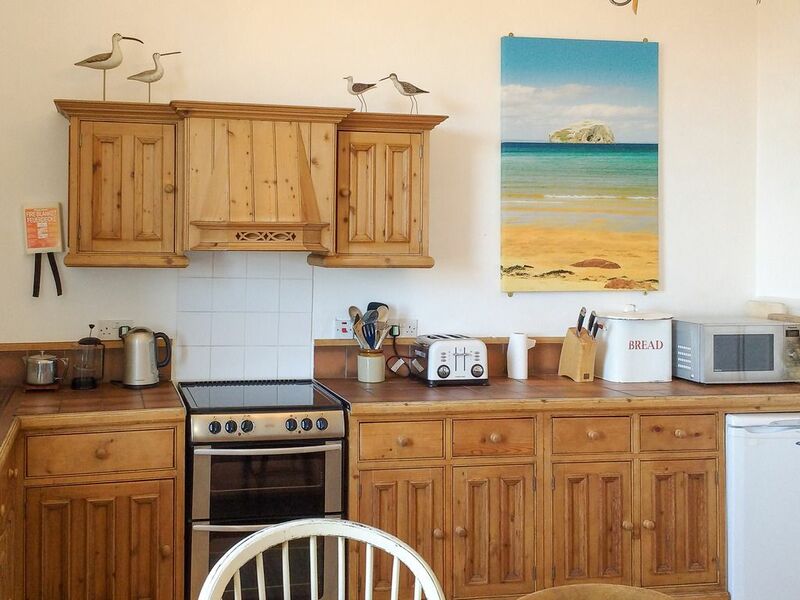 In summary the property offers TV, DVD, fitted kitchen with fridge, microwave, electric hob and oven, two large bedrooms, sitting room, bathroom, separate toilet, utility room with dishwasher and washing machine. 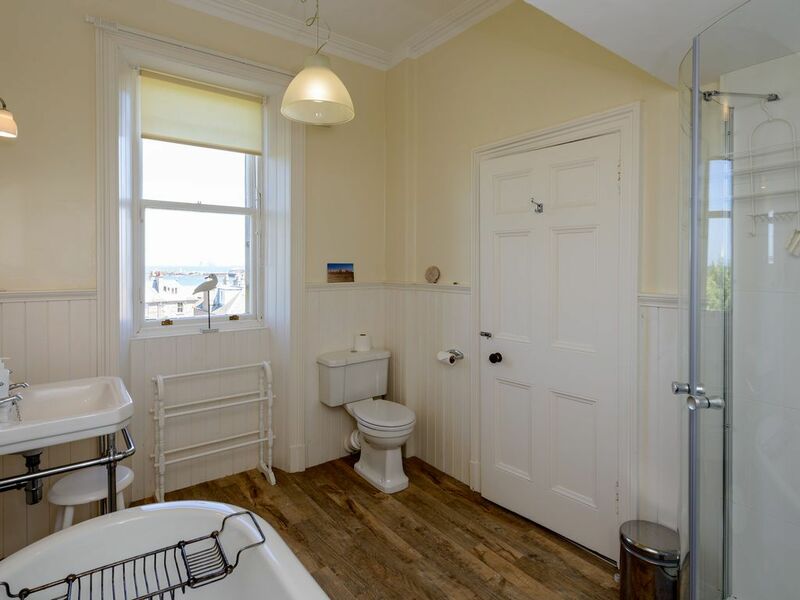 There is also an enclosed private garden.